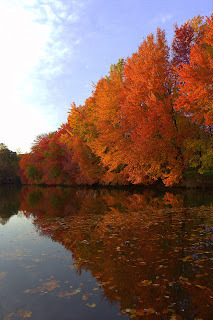 Shots and Thoughts: Latest Photos by Dave Wolanski: Fall Color! 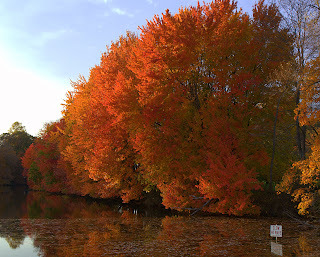 I was driving back from a meeting the other day and saw these trees at Moores Lake here in Dover. They were breathtaking! I tried some shots then but I liked these better... I'll see about posting the shots from the other day ASAP. That tree line along the water is beyond words. You did a great job of catching the vivid colors and the detail of the decaying leaves in the water. It seems to project a feeling of restfulness. Thanks. They were definitely U-turn worthy. Take a look at the after pic I took yesterday morning!